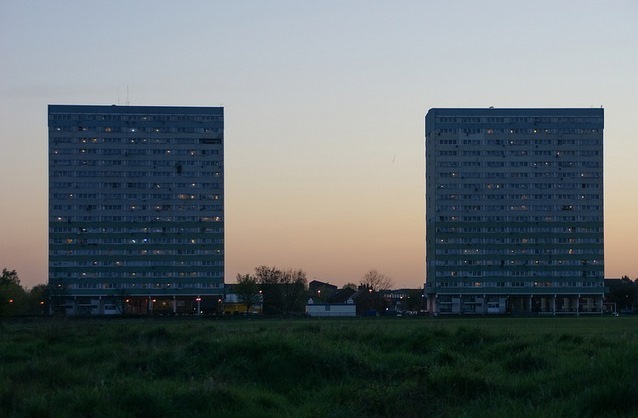 Waltham Forest Council is facing severe criticism over its plans to cut social housing during its refurbishment of the Fred Wigg and John Walsh Towers in Leytonstone's Montague Road Estate. The local authority's vision involves financing 75% of the £44m cost of refurbishing the existing towers by building a third block between them and selling some of the new flats on the open market. Which might not have been all that bad, but in common with many other London boroughs, the council plans to reduce the towers' social housing allocation from 234 homes to 160. It's a story we're seeing across London — residents of the Heygate and Aylesbury Estates in south London, Barnet's West Hendon Estate and Brixton's Loughborough Park Estate, to name but a few — will be unhappily familiar with it. The Aylesbury Estate was also recently the scene of protests over the eviction of residents ahead of its demolition. The Montague Road residents are facing the same problems, namely being priced out of alternative accommodation in the local area and a council seemingly unable (or unwilling) to commit to rehousing them nearby. At a public meeting in Leytonstone on Tuesday, organised by housing campaign group Focus E15, local resident and former assistant director of housing for Hackney Council, Peter O’Kane, called the plans "a massive financial risk" and said it was "the worst and most risky improvement scheme" he'd come across. “The scheme we are proposing to adopt will provide a long term solution that is financially viable, providing not just 160 new high quality council homes but almost 40 shared ownership homes too. For the residents, the more immediate problem is where they will live, given the projected dates for decanting them (to use the council's phrase) from the first tower and the completion of its refurbishment are about 18 months apart. Waltham Forest's FAQ page suggests residents may have to move off the estate, but adds the caveat, "the available social housing in the borough is limited and in high demand so this might not be possible". "I've been here for the last 29 years and I've got a family that live around Waltham Forest. Now the council have come along and they're trying to make one block private to make money. They want to decant some people and find them properties. But as we know Waltham Forest doesn't have any council homes — it's all housing association and going to be very expensive." Residents of the Fred Wigg Tower famously sought an injunction to prevent missiles being stationed on their roof by the Ministry of Defence during the 2012 Olympic Games.